Mike became a member of FIP in 2013, and is currently President & CEO of ACME Cosmetic Components. Prior to joining ACME and FIP, Mike held senior leadership positions in industrial products companies at Avery Dennison, ITT Industries (now Xylem) and United Technologies (at Sullair Corporation). Following his “tour” with F500 companies, he led several middle market manufacturing operations for both public and private-equity backed stakeholders. Regardless of venue, Mike has led a people-centric charge for growth and change within the organizations he’s been a part of, specializing in developing go-to-market and operational strategies that drive sustainable value creation. 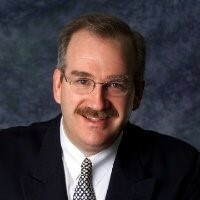 His broad continuous improvement experience combined with a bachelor’s degree in civil engineering from the University of Maine, and an MBA in operations management from the University of Scranton, make Mike a great resource for assessing a company’s strengths, developing a strong path forward, and galvanizing support from the enterprise to make it a reality. After hours, he has served on local non-profit educational and community development boards for the Town of East Aurora, NY, the Diocese of Metuchen, NJ, and several United Way’s, including Lake County, OH, where he was the annual campaign chair in 2005.